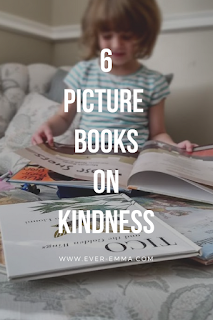 6 Picture Books to Explore Kindness With the Kids | ever emma. . . I used to think that we were all born kind, that nature or nurture must have made some of us cruel or selfish along the way. After having children of my own, my views have changed. Little kids can be quite cruel. They point out differences. They seem to be very possessive, even when something isn't actually theirs. 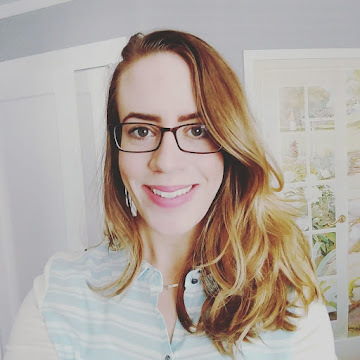 I'm realizing that maybe kindness and compassion are things we, as parents, need to teach. When it comes to teaching my children, I often find myself starting first with books. What books are out there to teach my children the value of being kind? Here are 6 picture books that have helped us begin to tackle the subject of compassion. This book will completely break your heart. A new girl, Maya, joins Chloe's class. She tries to become friends with Chloe and others in the class, but because she doesn't dress well the kids decide they can't play with her or be her friend. One day, Maya doesn't come to school and on that day their teacher teaches them about kindness and how each kindness matters and makes a difference. Chloe resolves to be kind to Maya when she returns, but will she get that chance? Jeremy wants a pair of black high-tops. All of the other kids in school have them, but his family cannot afford both high-tops and new boots for winter. Eventually Jeremy gets a pair of used, too small for him, high-tops. When he does, he notices that his friend's shoes are falling apart and his too small high-tops would probably fit him. Will he continue to wear the too small shoes or give them to his friend? This is a wordless adaptation of the classic fable by the same name. The illustrations are really beautiful. 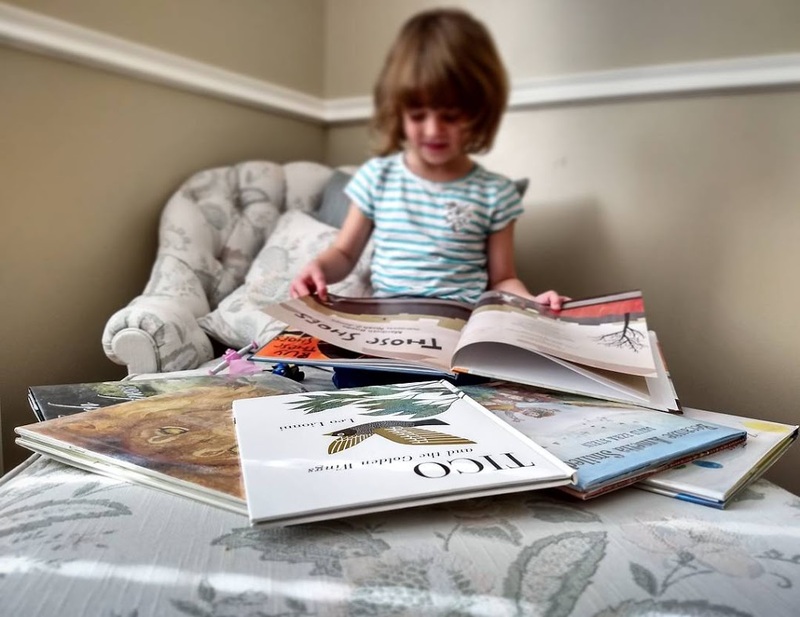 I used to hate wordless picture books, but as little e has gotten older, I have really enjoyed the opportunity such books provide for her to try to tell the story. This is kind of a strange story in that there is a giant panda who is friends with a bunch of little kids, but it contains a great message about how important it is to get to know someone before forming an opinion. This panda, Stillwater, is friends with many people in the community. He spends time playing with the neighborhood children and gets them to go and serve an elderly woman who they had always seen as mean. Through their service they begin to understand why this woman acts the way that she does and they form a friendship of their own. This book does a great job at demonstrating the power of simple acts of kindness. A little girl smiles and that simple smile has an effect all over the world. You don't always have to do large, grand gestures to make this world a little brighter. A bird is born without any wings, until a wishingbird grants his wish for golden wings. His wings are beautiful and they provide him with the opportunity to go to new places and meet new people. He finds that he wants to help these people and the only way he can do that is to give them one of his golden feathers, until, at last, he is left with black wings like the other birds. This book does a great job at showing how fulfilling it can be to share what you have with others. Do you have any books on this topic that you enjoy?